A proposed settlement filed in a Northern District court on Thursday in a class action lawsuit against Pokémon GO smartphone game developer Niantic may affect PokéStops, Gyms, and Raid Battles in the augmented reality game. The lawsuit relates to the claims for nuisance and unjust enrichment against Niantic . The proposed settlement would apply to anyone in the United States who owns or leases property within 100 meters (about 328 feet) of a location Niantic has designated, such as a PokéStop or a Gym. The settlement would require Niantic to make "commercially reasonable efforts" at least the next three years as a response to the nuisance claims. 5 days for 95% of cases in a year. If the complaint requires the removal of a PokéStop or Gym, Niantic would have to remove the in-game location within five business days of agreeing to remove it. Niantic would have to remove PokéStop or Gym locations within 40 meters (about 131 feet) of single-family residential property after receiving a complaint from the owner. Niantic already removes PokéStops and Gyms after receiving appropriate complaints, however, the game's website doesn't have a dedicated page to outline procedures or process complaints. Niantic to maintain a database of complaints, including new in-game messages to ask players to be respectful or private property, and add safeguards to avoid placement of new Pokéops and Gyms in locations likely to lead to nuisance and trespassing complaints. If more than 10 players participate in a Raid Battle, Niantic would be required to include a message that asks players "to be courteous to others and respectful of their real-world surroundings." In addition, Niantic would be required to honor requests for limited hours of operation for PokéStops and Gyms in parks. The 11 plaintiffs in the class action lawsuits are requesting service awards up to $ 1,000 each from Niantic . Their lawyers are also requesting reimbursement for legal fees related to the case. New Jersey resident Jeffrey Marder filed the initial class action complaint against Nintendo The Pokémon Company, and Niantic in 2016, claiming that the game encourages trespassing. However, Marder was dropped as a named plaintiff in the lawsuit around October 2018. The current locations are Scott Dodich and Jayme Gotts-Dodich, The Villas of Positano Condominiums Association of its members, Jill M. Barbarise, Jason Sarkis, Melissa Perez , Congshan Hao, Bruce Garton, Sally Rogers, Deborah J. Pimentel, and Loren Morgan. 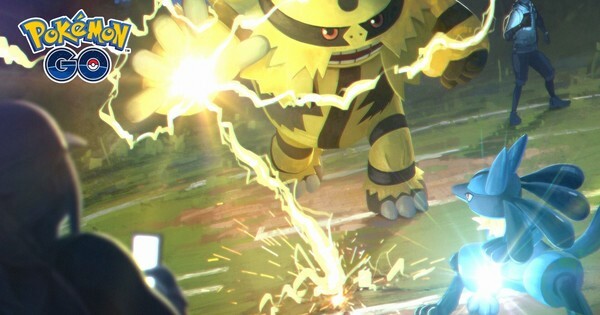 Niantic also agreed in 2018 to settle a class action lawsuit brought against the company seeking monetary damages to recover travel expenses for Niantic 's Pokémon GO Fest event in July 2017. The This article was previously published by this site at the latest. Mobile app data analysis organization Sensor Tower reported in January that the estimated US $ 795 million worldwide in 2018, about 35% increase over its revenue from 2017. Overall, the game has earned US $ 2.2 billion since its launch in July 2016.